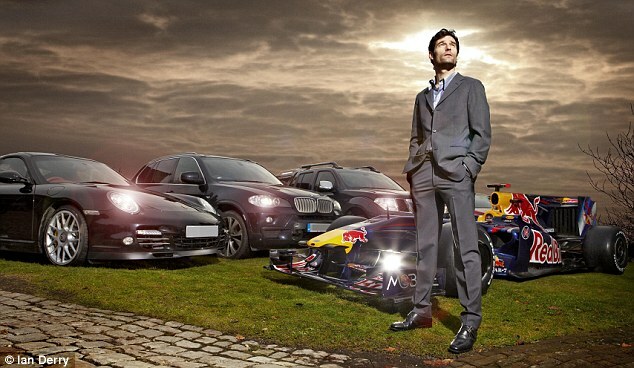 As we now know Mark Webber is leaving Red Bull F1 for Porsche, WEC and Le Mans. This interview has just appeared on Mark's personal website. Why have you made the decision to join Porsche in the WEC at the end of the season? MW: The timing is perfect to join a fresh programme. It’s a sensational challenge and opportunity for my future to work with one of the most famous marques in motorsport. How do you feel about returning to Le Mans after what happened in 1999? MW: I accept that motor racing is dangerous but Le Mans is one of the most famous circuits in the world and to be honest, I still see it as unfinished business and I want to do well there. Le Mans can be cruel as we’ve just seen, but it’s incredibly rewarding and that’s part of the allure. Did the events of the Malaysian GP (or other well documented inter-team incidents) influence your decision/make your mind up? MW: No, I’ve had a personal plan and I’ve stuck to it. This is the next chapter. Were you pressured or encouraged to leave RBR by the team or was it purely your decision? MW: I never asked the team for more work but I’ve remained in touch with Dietrich Mateschitz over the last six to eight months and he’s been absolute quality for me. Going forward I will remain tightly inside the Red Bull family, working with the brand, and watching and supporting fellow Red Bull athletes push the boundaries. You are one of the oldest drivers on the grid, has your age affected your driving and was this a consideration in your decision to leave?MW: Of course you want to do your whole F1 career at the age of 25. Ask any sportsman or woman in their mid to late thirties and they will tell you that things don’t become any easier. That’s just a fact of professional sport. Did you have options to stay in F1? MW: Yes but since Formula One as a category wasn’t on my radar for 2014, they weren’t a consideration for me. Will you rule out a return to F1 should another opportunity present itself in the future? MW: I’d say it’s extremely unlikely, particularly given the new direction the category is going in. You would be out of touch very quickly. Finally, what will miss about Formula One? MW: I realise F1 is seen as the absolute pinnacle of motorsport and I’ve worked with some incredible people, in particular Adrian Newey. I’ve driven in some of the toughest and most challenging conditions and circuits, and against some incredible drivers which I’ll continue to do until the end of the year. Will I miss some of this? Yes, of course, but time doesn’t stand still for anyone and it’s time to move on to my next challenge.